Technology has become increasingly intrusive. Just a few decades ago, the idea of being near-constantly tethered to a device may have been unpalatable, particularly when that device sends your every activity to corporations and means you are contactable 24 hours a day. In 2018, though, we can hardly imagine living without one. Willingly integrating technology into your body, or biohacking, therefore seems like the next logical step. We have welcomed smartphone devices into our lives – often paying substantial amounts for the privilege – because they are unbelievably useful. Many expect the next logical progression in personal technology to be wearable. Why carry a distracting smartphone when the power of the internet can be harnessed by some lenses? Overlaying directions onto the roads themselves, or having a landmark’s information appear as you look at it, are two easy-to-imagine use cases that barely scrape the surface of augmented reality’s seemingly limitless potential. A world in which everyone is wearing powerful computers on their faces may be some way away yet, but there are already those looking past it. To some, the logical endpoint of humanity’s relationship with technology is full integration; the augmentation of the human body with tech. This is known as ‘biohacking’, and there is already a community of those dedicated to the practise. There are already a dizzying variety of examples, largely coming out of the US and largely performed in a DIY environment. 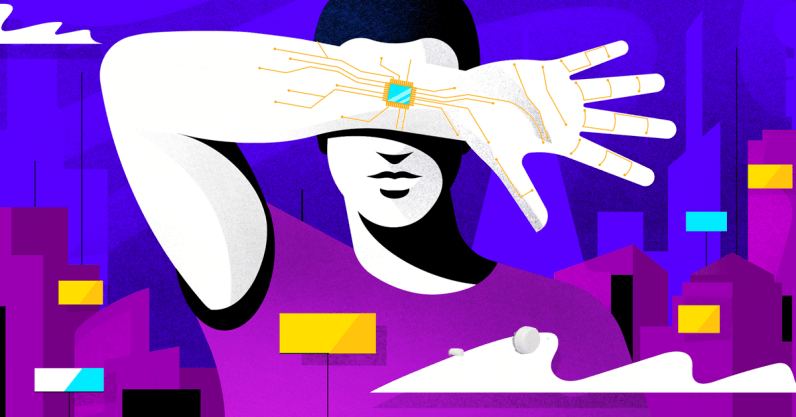 From injected serums claiming to cure HIV, to the insertion of magnets into the fingertips – the biohacking industry is seemingly open to anything. Binary District Journal spoke to Kevin Warwick, leading expert in cybernetics and Deputy Vice-Chancellor at Coventry University. Kevin is perhaps best known for Project Cyborg, a platform for researchers and developers working in the cybernetics space. He was the world’s ‘first cyborg’, thanks to a series of groundbreaking experiments that cemented his place as a trailblazer. We asked Kevin how long he thinks it will be before biohacking steps out of the shadows and into the mainstream. “From a scientists point of view, it’s always the difficult one to call,” he says. “Because you know the technology is there. I know that from what I’ve just said it sounds all science fiction, futuristic, but the technology to do the first experiments is there now, but we’re on hold for it to go ahead. “The first thing is, when will the first experiments happen? They could happen at any time. If you and I decided to go ahead with things despite any ethical concerns, technically we could do it now – but nobody actually has done. So that’s point one: there needs to be a scientific step, but it could happen now. “Then, the question is how quickly does it get developed? You can look back at the telephone when that came about, it needed a network infrastructure. OK, you could have a telephone, but you couldn’t call anybody because nobody else had a telephone. It needed that network and it needed commercial enterprises coming in. Also, it needed society to need it and want it. Those are difficult calls. “You could say ‘in 20 years’ time you will be able to go to the corner store and get it’, but it also might be 100 years. It’s so difficult to say, but I do think the first experiments could happen now and I can’t see it being much longer before they do. Then, people might get excited about it, while still being worried about potential risks. Naturally, some curious cases have emerged in the early stages of biohacking’s development. There have been a number of ‘pioneers’, with wildly varying degrees of success. One famous example is Aaron Traywick, who died in a sensory deprivation tank in Washington D.C. earlier this year. Founder of Ascendance Biomedical, Traywick was viewed by the biohacking community as one of the figures most likely to make groundbreaking progress. A complicated, problematic character, Traywick held ideas that many saw as revolutionary, but he never quite realized his vision. In February, Traywick appeared on stage and told the audience that Ascendance Biomedical had developed a vaccine for herpes. After dismissing questions about the project’s formal ethical oversight, he revealed that he himself had been diagnosed with herpes and injected his own leg in front of the audience. The stunt made waves, inciting equal parts intrigue and vitriol. This post was written by Charlie Sammonds for Binary District, an international collaborative technology community which creates unique competency-based workshops and events on new technologies. Follow them on Twitter.